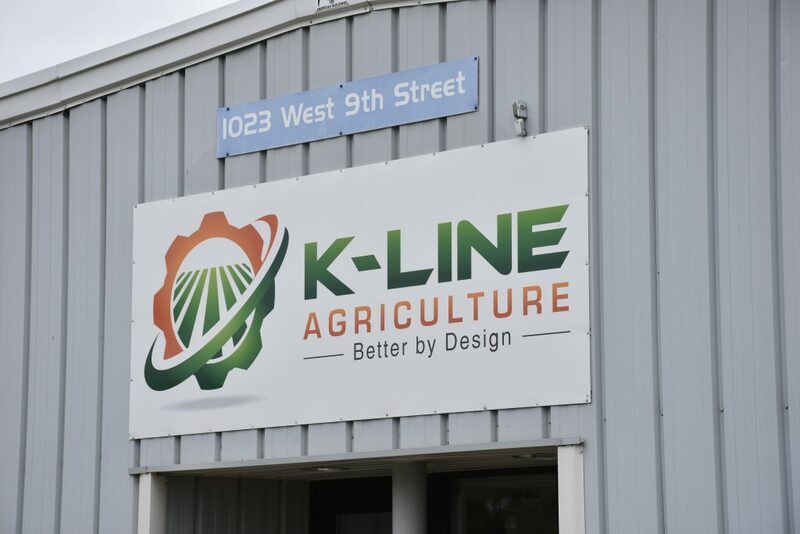 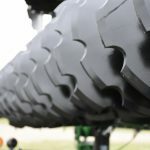 K-Line Ag USA assembles and sells heavy-duty agricultural implements from their headquarters in Grafton, North Dakota. 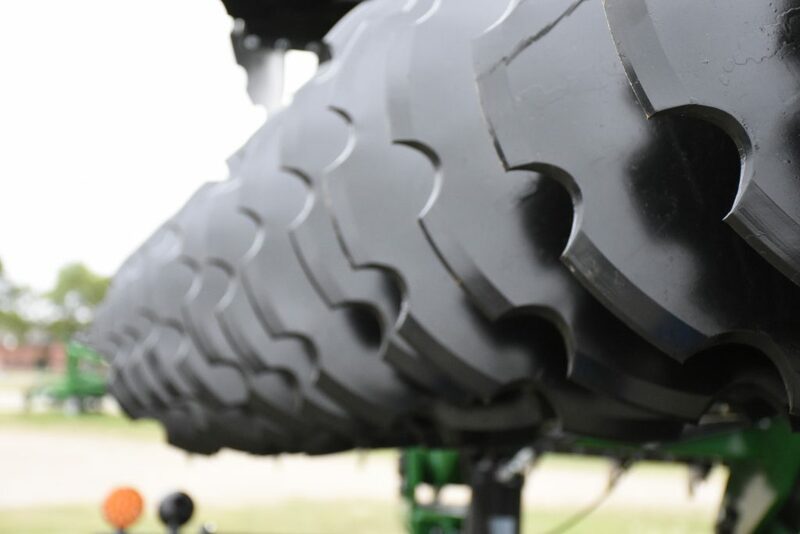 They are committed to providing high-quality farm equipment for farmers and producers. 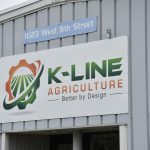 K-Line Ag manufacturers the Speedtiller® & the Speedtiller® Powerflex™, heavy-duty high-speed disc tilling machines. 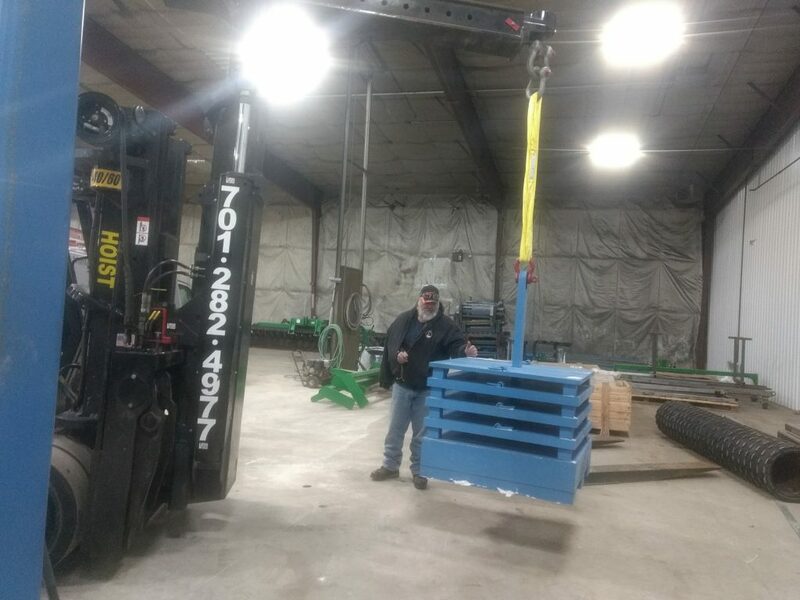 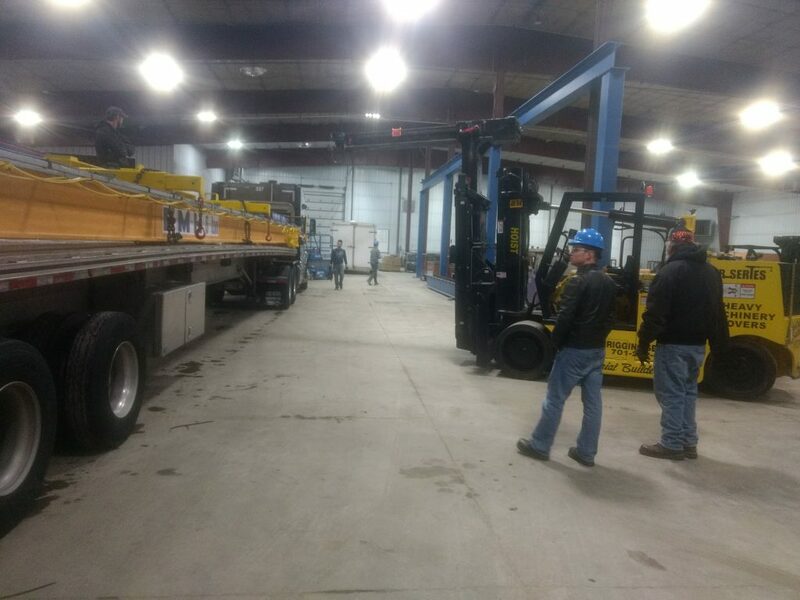 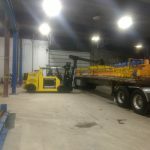 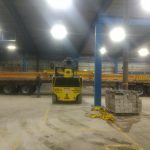 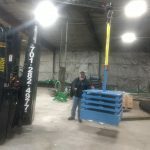 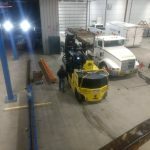 After recently moving to a larger facility to handle increased demand they quickly realized their lifting methods needed upgrading. 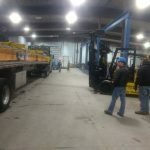 Using lifting vehicles to position product into place during assembly required several people and had the potential to damage product. 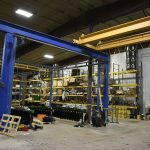 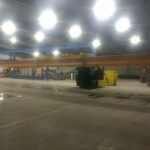 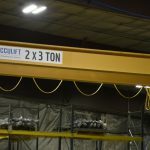 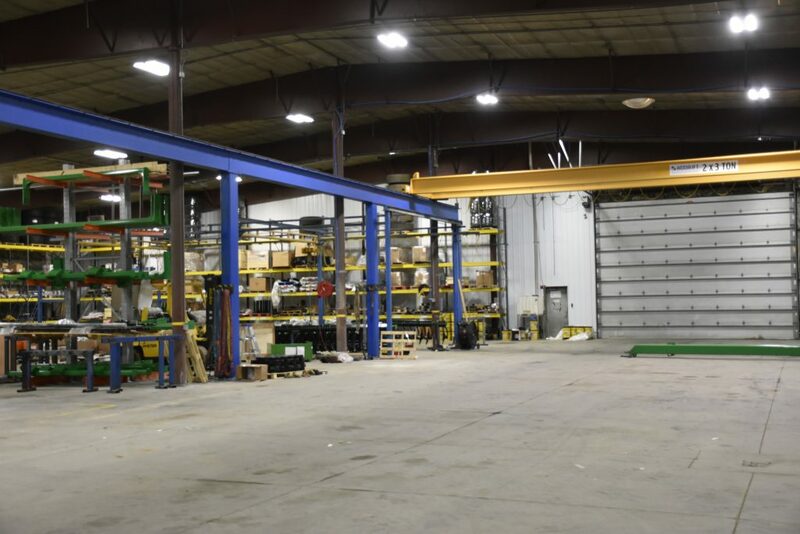 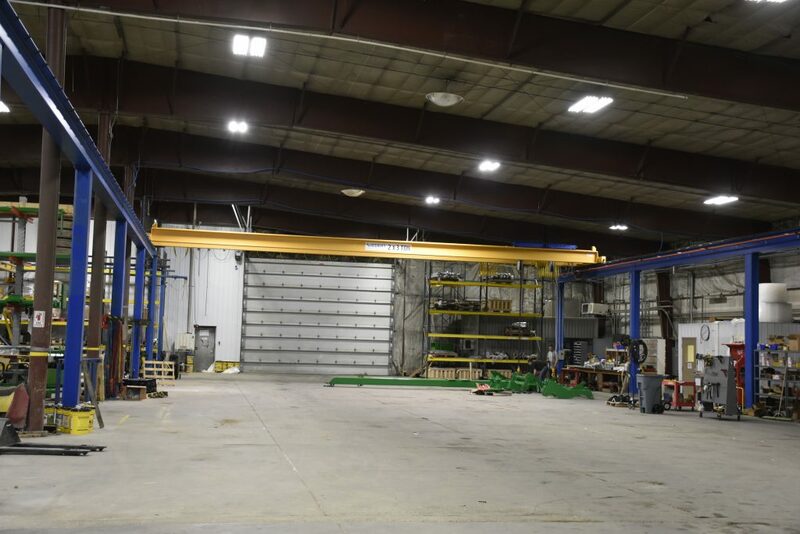 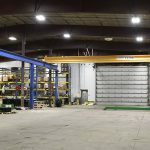 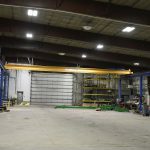 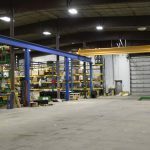 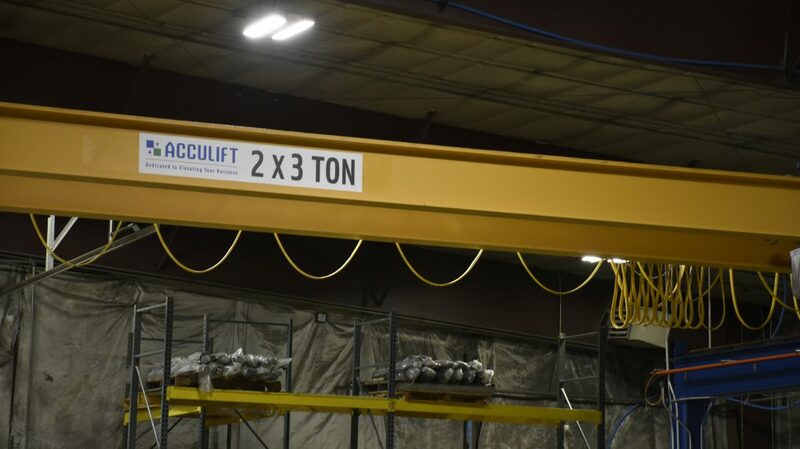 After onsite consultations and a review of the existing equipment, Acculift recommended a large overhead crane system that is fed by smaller cells covered by existing workstation cranes. 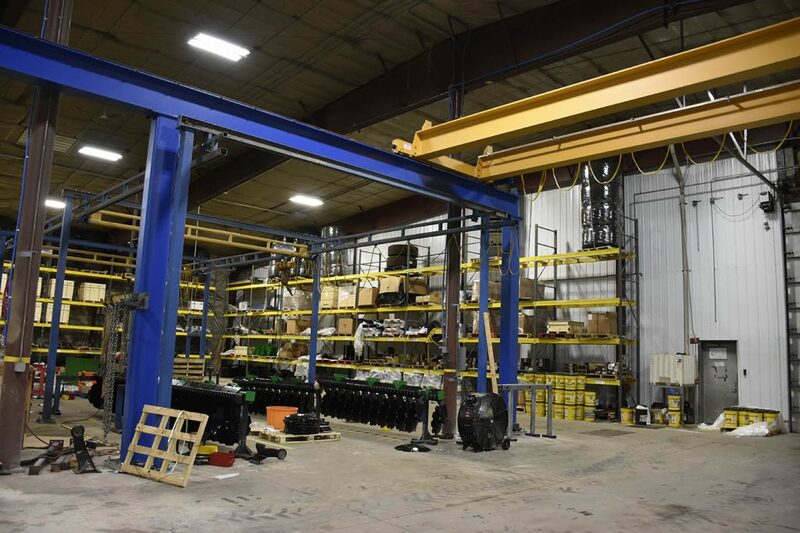 This allowed for quicker, safer production with the ability to accurately position heavy parts for assembly. 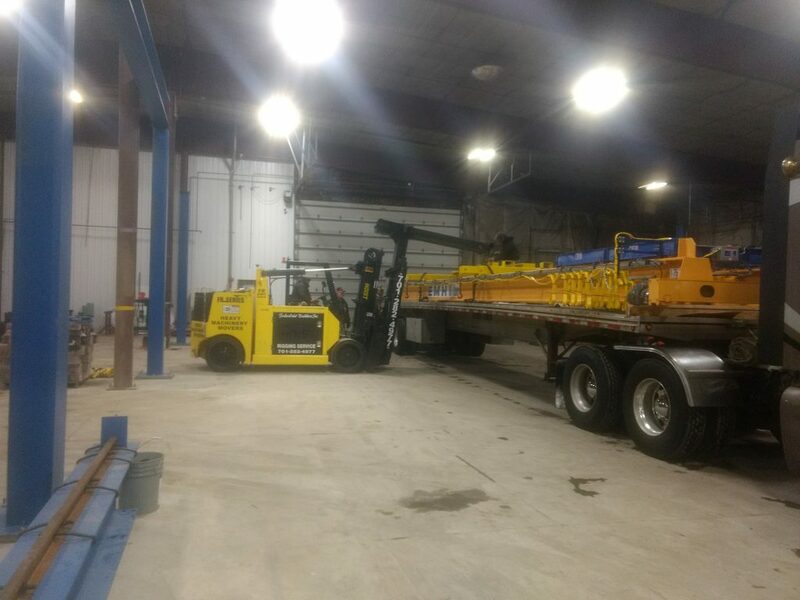 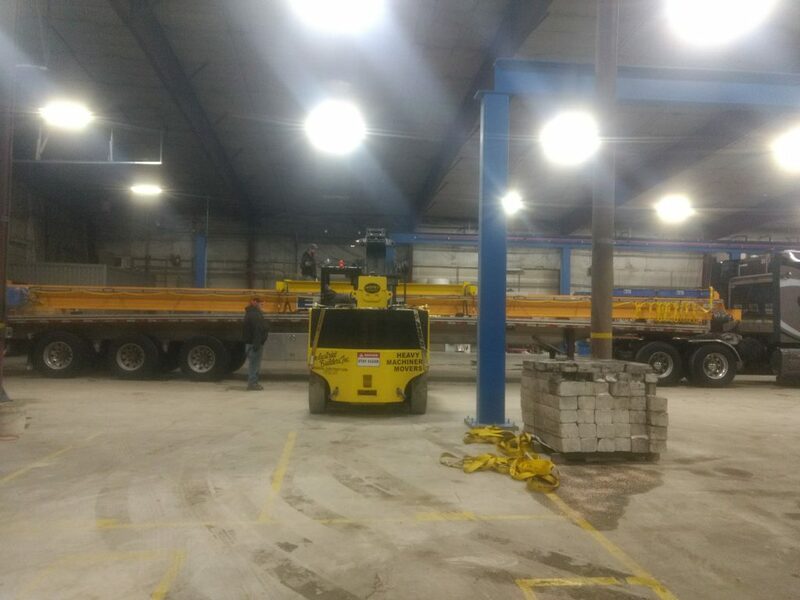 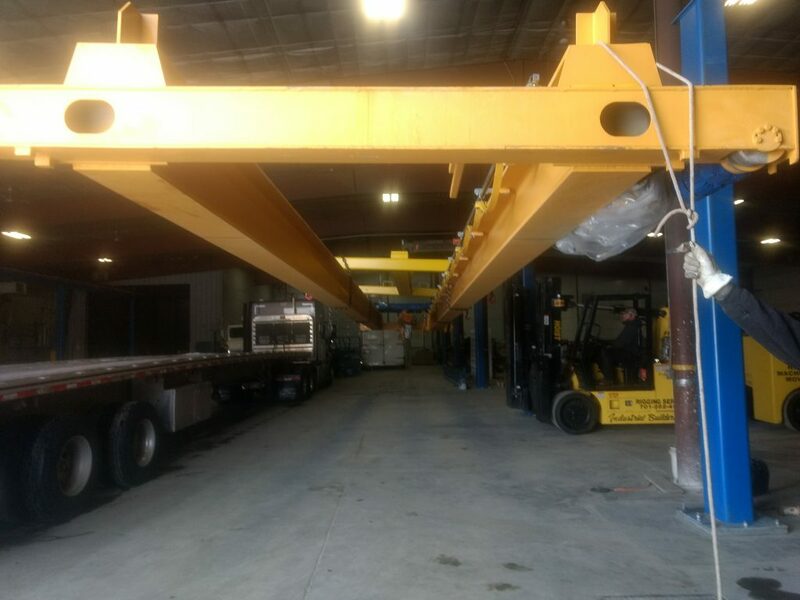 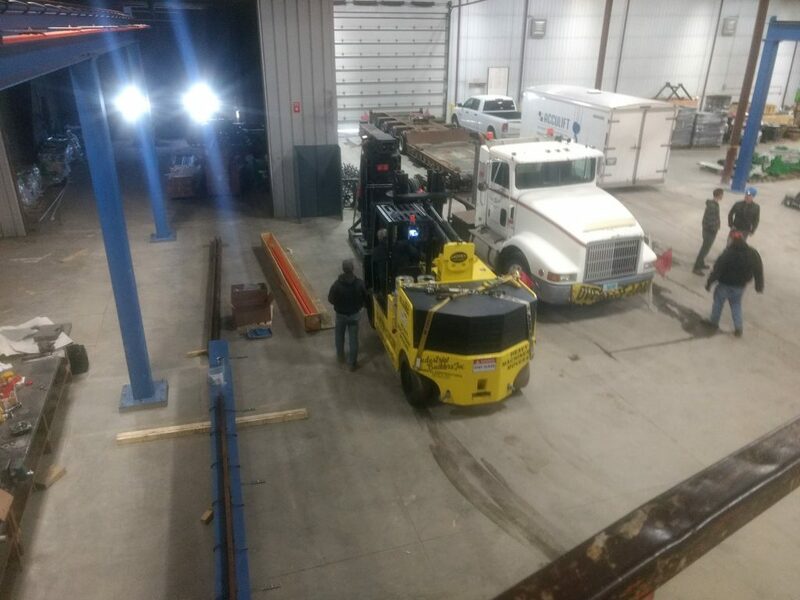 This new 6 ton capacity, 100 foot long, dual hoist overhead crane is also used to load and unload shipping trucks within the facility. 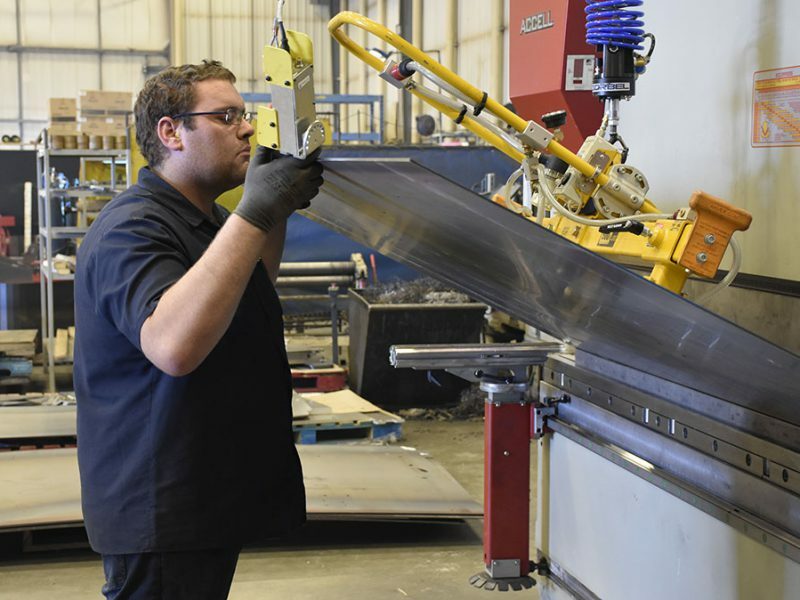 Using this new system K-Line Ag significantly reduced the possibilities of product damage while reducing the physical labour required for product assembly. 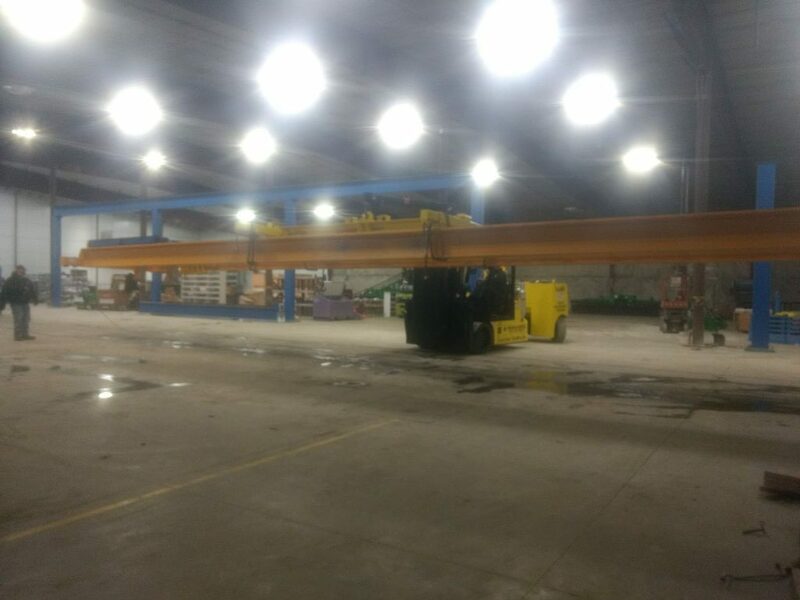 Large construction equipment was removed from product lifting and what was once a four-person job to pin equipment together is now a one or two-person job. 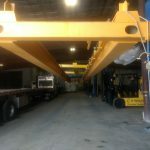 In addition, the crane system can be used to load and unload shipping vehicles in the facility – safely increasing the speed of production.